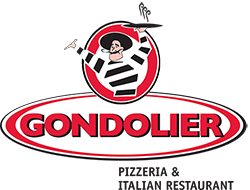 Online ordering menu for GONDOLIER PIZZA INC. Over the past 35 years at Gondolier; we have been striving to always improve and excel in quality and service to accommodate the needs of our patrons. We are an unprecedented entity in the casual dining food service industry offering more than 50 menu items above and beyond pizza. From our selection of salads, oven baked subs, pita wraps, Greek specialties, calzones, strombolis, Italian entrees, and white or red pizza, customers enjoy our delicious food, often multiple times per week. With a menu like ours there is always something different and always something tasty to add to a fresh Italian dining experience. We are located at the intersection of Lee Highway at Shallowford. Order online for carryout!